Sweet sixteen! Today, September 13, 2018, is CSNTM’s sixteenth anniversary. Back in 2002, our Executive Director, Dr. Daniel B. Wallace, saw the potential of how digital photography and the internet could transform the way we study New Testament manuscripts—rapidly increasing our access to the physical materials of the Christian tradition. Now almost two decades later, this original vision has proven to be both timely and vital, and our commitment to it has only strengthened. As we move into our 17th year, we have a number of important projects underway that have us excited about what lies ahead for the preservation and study of the New Testament. 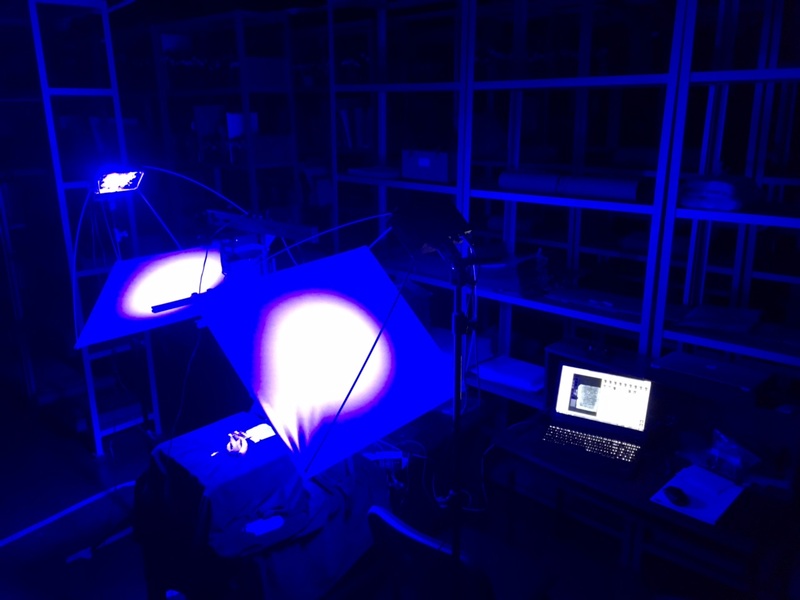 The acquisition of multispectral imaging (MSI) technology has been a critical addition to our digitization capabilities. MSI is a giant leap forward for digital preservation work because it allows us to see biblical text that was previously invisible or unreadable. We are among just a handful of research crews on the planet with a mobile MSI setup, which enables us to bring this advanced technology to institutes throughout the world. Our staff is collaborating with experts in cultural preservation to become proficient in processing MSI data, so that we can begin publishing images from data we’ve already captured at Heidelberg, Germany and Tbilisi, Georgia. There are several important manuscripts—water damaged or scraped and written over—that CSNTM has wanted to digitize over the years, but this simply could not be done with normal digital photography. Now that we have our MSI system, we can hardly wait to begin digitizing these invaluable manuscripts to discover what is there! Digitization is critical for preserving manuscripts, but it is equally vital to study the images we’ve taken. So the task of doing and publishing research lies at the core of what CSNTM does. This is why we have recently created the position of Research Fellow. Jacob Peterson, a doctoral candidate doing research in New Testament textual criticism at the University of Edinburgh, has stepped into this role for us and already has important projects on his docket. He will primarily be working on a publication focused on the dozens of manuscripts that CSNTM has discovered during its 16 years of on-site digitization work. This summer the CSNTM internship program welcomed a highly talented group of three graduate students. This semester they will be working their way through foundational readings in New Testament textual criticism, discussing them in student-led seminars. This introduces them to the various issues involved in our scholarly discipline, especially the manuscripts and textual history of the New Testament. In addition, each intern has taken on an original research project for the year. We offer guidance and feedback through the project that gives students opportunities to develop vital skills—critical thought, careful use of sources, accurate writing, and concise presentation. At the end, our interns will be contributing members to the field of NT textual criticism, as well as having experience that can help them excel in their future studies and careers. These projects have us energized to continue the work of digitally preserving the New Testament. But we cannot do this work alone. We need people to partner with us by donating to our work today. We realize that every donation is an investment in something. When you give to CSNTM, you are making an investment that will continue reaping rewards for future generations, allowing them to see, study, and enjoy these invaluable biblical manuscripts. Thanks for your partnership with us!